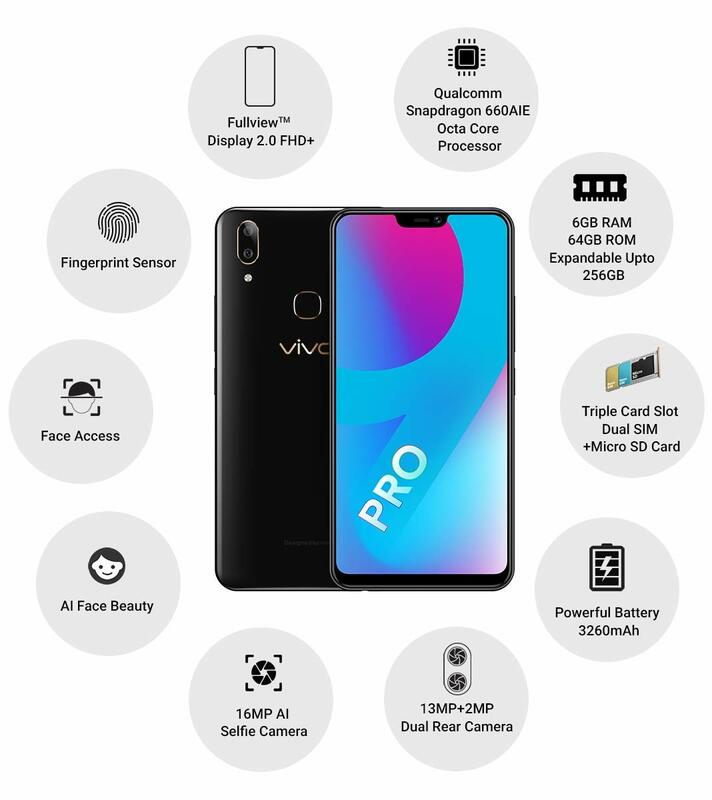 The V9Pro has a state-of-the-art 19:9 aspect ratio 15.51cm (6.3) FHD+ full view display with a Qualcomm Snapdragon 660AIE octa-core processor and 6GB RAM, which boasts immense power and super-fast performance. Apps can be switched on instantly, videos load swiftly and gameplay is even more responsive. The V9Pro features 13MP+2MP Dual Rear Camera setup that brings out extraordinary clarity and captures depth-of-field information. It also comes with the new-generation AI face access technology.